The Noupoort Christian Care Centre aims to reach people with substance dependency problems and who experience adapting issues to everyday community life. A minimum period of 52 weeks is offered for individuals to gain insight and restore confidence in themselves. Addiction is a choice and not an incurable disease, which means that it can and has been overcome by many that have completed our prescribed one year and 2-year programs. Broken down as follows, our survey shows a 76% recovery success rate for those completing the 52-week programme. For this reason, we can guarantee the recovery of any addiction for all those that are prepared to do an extra year after successful completion of the first year. The second year is free. Yes, the second year is free and sponsored by the Noupoort Christian Care Centre. After the successful completion of the above 52-week programme, we strongly recommend a 2nd “YEAR OF YOUR LIFE” at no extra cost. We highly recommend the 2-year programme. We are serious about your recovery. How serious are you? Your recovery is our reward. We have various projects and workstations where residents can spend the time to get back into a working routine and deliver some fruitful results. Every project is headed by a staff member. We offer a variety of services related to recovery addiction and how to recover from addiction. Through Jesus Sorcery (PHARMACIA) (Gal 5:19-21) can be beaten once and for all. Recover now from any addiction now with our one-step programme! NCCC offers a 52-week rehabilitation program & encourages a 2nd year at NO extra cost with a guarantee of 100% recovery. Our program consists of the one-step program. We believe in Jesus as the one and only way to truly recover from addiction. We also love giving residents pills, the only pills we offer is the Gospel. A drug intervention is a process that helps a drug addict recognize the extent of their problem. Individuals who are addicted to drugs or alcohol usually do not know their addiction is out of control. If you have a friend or family member struggling with addiction (Sorcery / Pharmacia)(Gal 5:19-21) contact the NCCC to discuss an intervention. Let us help you to save a life. The NCCC is the only rehabilitation centre in SA to offer residents the opportunity to complete their schooling and leave their recovery program with their matric certificate and the opportunity to pursue a career in their chosen field of interest. With a 95% pass rate over the past 5 years, the NCEC continues to change and transform lives and gives students the chance to dream again. United Christians Against Narcotics is a community-based project that aims to Save our Youth & Save the Nation. We are determined to remove drugs from the streets of South Africa & the lives of many who have experienced the destruction caused by addiction (Sorcery / Pharmacia)(Gal 5:19-21). Meet our dedicated Holy-Spirit-led-team. All of whom is hardworking and reborn Christians, knowing that Jesus Christ is their Lord and Saviour. Our team understands the importance of recovery from addiction which is, in fact, sorcery (PHARMACIA) (Gal 5:19-21), and they do their best in guiding all residents to overcome their addiction through Jesus Christ once and for all and to stay on the path of sobriety. After a 30 year addiction to drugs and alcohol, Pastor Sophos had an encounter with God and found his hope miraculously restored. He believes that God specifically reached out to him so that he, in turn, could reach out with a message of hope for individuals that are in hopeless and broken situations. His conversion saw him complete his studies at Rhema Training Bible College in 1984, and in the same year, he started a drug rehabilitation program by invitation of a government rehabilitation centre namely (Magaliesoord). On the 16th of January 1992 the Noupoort Christian Care Centre opened its doors with the message of a “One Step Programme of Hope”. The core value of the programme is found through the pen of the apostle Paul – “I can do all things through Christ who strengthens me” (Phil 4:13). Pastor Pia Green “Our Program Manager” - has been with us for almost 3 years now. Pastor Pia enjoys every facet of this ministry, being able to interact with the residents on both a spiritual and physical level. Her most rewarding times have been to see and be part of how God transforms addicted lives into lives that are made whole again. Her vision for the NCCC is that God will open more doors for us to reach out and be of assistance to communities and the youth at large and in so doing change the lives of many more hurting, broken and desperate people. George has been with the NCCC for two years & 9 months. His primary role is as a Pastor @ NCCC, but he also acts as a senior manager, to assist in the smooth running of the NCCC. His passion and motivation are to see every person that passes through this program accept Jesus as their Lord and Saviour and in so doing overcome their drug addiction. Teacher & Pastoral Councellor - Tannie Maretha started on the NCCC BOARD 5 years prior to working for the NCEC in 2001 & has been part of our ministry fulfilling her God given purpose & passion for people ever since. Tannie Vis is led by the Lord Jesus Christ who called her to offer her services at the school working directly with our youth & since that day she has never looked back, she has learned so much in her time spent within this ministry. She believes that all who work here are motivated by a first hand experience of the healing of hearts through Jesus Christ; lives being changed, minds having a vision & people able to dream again as they start believing in themselves and trusting the Lord Jesus fully & completely. Having been on the program myself and now actively working daily as the house mother and on admissions, I encourage anyone struggling with addiction to come to Noupoort as it has changed my life and can certainly change theirs. Joined NCCC at the beginning of 2005. Richard is accountable for the functioning of the accounting operation of NCCC, the maintaining of an adequate system of accounting records and a comprehensive set of controls . His main motivation is to continue to build on the foundation laid by the Founders Pastor Sophos and Gladys Nissiotis and to maintain the standard of service excellence set by them. The ultimate goal is to help as many addicts as possible in their recovery and assisting to return them to their families to be taken back into the society . Richard would like to share the following words of wisdom: 1 Corinthians 12:12-27 One Body Many Parts. There is One body but it has Many parts, but all its many parts make up one Body to function. Tannie Ilze joined the NCCC in July 2011. She works in the admin block as Admin Manager, assisting in the finance department. Tannie Ilze is a living, walking testimony that with Jesus Christ, ALL things are possible. She has been through many trials and tribulations of her own and can identify with the residents' past problems & current circumstances and help them to believe that God is in full control. Tannie Ilze lives by the saying; LET GO and LET GOD. Proverbs 16: “ A man’s heart plans his way, but the Lord JESUS directs his steps.” - She says she did not always want to be in the situation or the place where she found God had placed her, but she now knows that it was always the right place at the right time. Pastor Henry was farming in a neighbouring district, he passed the baton to his sons ten and a half years ago, and in answer to the calling of God, he started working at the N.C.C.C. Pastor Henry has a diploma in Pastoral Counselling, and he applies this in his daily work which mainly consists of counselling our NCCC residents. He also oversees the farming sector of NCCC and helps with the orientation phase of the program. He was ordained as a Pastor of this A2J Ministry 5 years ago at the NCCC's 20th birthday celebration. He leads the service & preaches every second Sunday as well as at the Tuesday & Thursday church group sessions. Codie has been actively involved in the ministry 1 year and 10 months and is now been a training staff member for 10 months. Codie heads up our dog team & looks after our family of Pitbulls. Codie is motivated by being an instrument in saving lives and returning broken people back to their loved ones in their original state before drugs took hold of them. All in the powerful name of Jesus Christ. Tannie Yda holds a BA Degree in Social Work. She has 5 years experience with addicts in the community and 25 years experience with addicts in Recovery of which 4 years have been spent working with juveniles in conflict with the Law & the last 14 years with the Noupoort Christian Care Centre. Tannie Yda heads up our Kingdom Kids soup kitchen which was birthed by Pastor Wayne & Tanya Lester who lead our own; Boetie to the Lord in his younger years and he is working for the ministry today at the age of 22 years shining for Jesus. Kingdom kids feeds between 40 & 50 children & has been successfully running for the past 8 years now. Mrs Preller has been a teacher for 42 years of which she was a specialist teacher for 19 years. Mrs Preller finally retired in 2012 and with still so much to contribute towards Education she joined the NCEC in 2013 where she found great joy in making a difference in precious young lives. She teaches Life Orientation and History which her students enjoy tremendously She does her best to live by the example of our Lord Jesus Christ who is the perfect Teacher. Arrie has been teaching for 15 years at the NCEC. He first taught Criminology and now teaches Business. Arrie says that this is his way of giving back all the blessings that the Lord has given him in his life. Besides his work on the farm, teaching keeps him busy and keeps his brain active. Mrs Robertson has been teaching at the NCEC for 4 years. Angeline believes that her pupils are deserving of all of her efforts & attention because of their decision to turn away from addiction, persue an education & stay “clean”. Her Life’s Motto is as quoted by Prof Paul Roumanoff; “Look Forward (ALWAYS), NEVER Look Back!”. I have been here for four years I arrived in November 2012. I look after the U18s as the house father, help uncle Richard in the day at the office and do the cash ups at RI in the evening.My motivation is to help the youngster not ruin their lives and make them realise the opportunities they have and get the most out of their lives ahead. Oom Sakkie has dedicated his life to the ministry for over eight and half years now. He is in charge of the overall general maintenance of NCCC as well as the vehicles. Oom Sakkie is one the most knowledgeable people we have working here, and he is always ready to fix any problem. Wouter is a staff member that assists with maintenance and also works on our vehicles. Mark Butler, is a hard-working man and he is part of our Maintenance team. He assists Oom Sakkie with daily maintenance tasks as an assistant project leader. He is dedicated to his work and in assisting with the recovery of the residents. Uncle Peter has over 20 years experience in the food & beverage industry. He currently assists Oom Hannes as CIARA manager at Middleton. He used to be on the programme in 1999 and was one of our first residents. He has a generous heart and brings a wealth of wisdom to the ministry. Hannes Steyn has been with the ministry for over 8 years and runs our reintegration part of the programme CIARA Middleton. He plays a vital role and he is passionate about what he does and loves all residents. They see him as a true father and mentor figure. Here are our some of our latest residents completing either a 2-year programme or 1-year programme successfully. We give Jesus all the praise and glory. 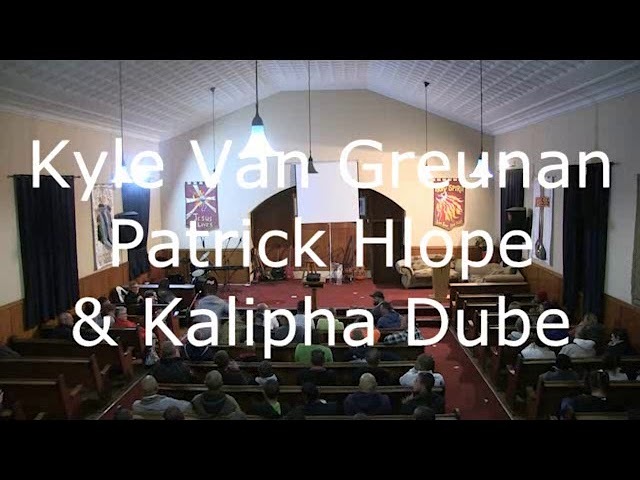 Here are some real people with real stories and how their lives have changed since attending Noupoort Christian Care Centre. Below please find our contact details should you wish to contact us. Please note our admission cellphone number listed below is available 24 hours 7 days a week. ARE YOU READY TO RECOVER FROM ADDICTION? The Noupoort Christian Care Centre aims to reach people with substance dependency problems and who experience problems adapting to everyday community life. A minimum period of 52 weeks is offered for individuals to gain insight and restore confidence in themselves.